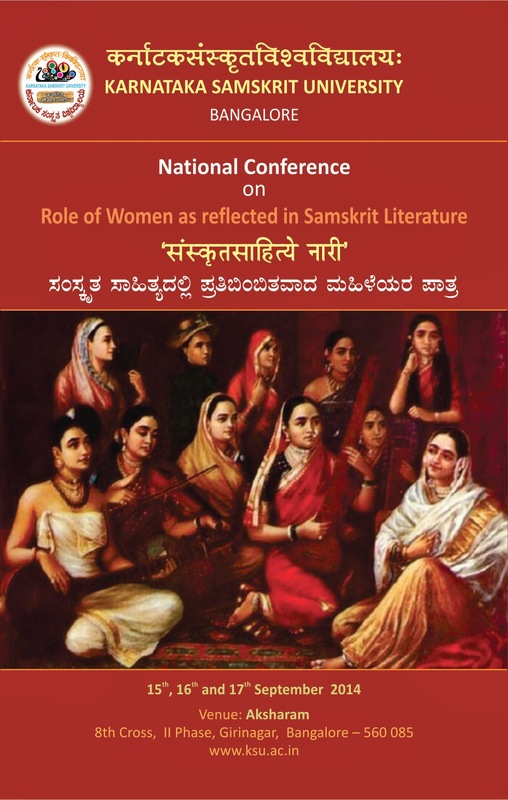 Karnataka Samskrit University is organising a National Conference on “Role of Women as Reflected in Samskrit Literature” scheduled on 15th, 16th and 17th Sept 2014 at Aksharam, 8th Cross, Girinagar II phase, Bangalore – 560085. Karnataka Samskrit University was established by the Karnataka Government in 2010 for promoting the rich cultural, scientific and spiritual heritage of India and alsofor bringing out the contributions of Karnataka inthe domain of Samskrit for the last five thousand years. The main vision of our University is to promote the cultural ethos of India as embedded in Samskrit literature for the overall development of an individual and for the welfare of the society. Quality teaching through development of good curriculum, quality research, good support of research staff, academic activities and adequate extension through lectures, workshops and publications have been our predominant mission under the stewardship of Prof. Shrinivasa Varakhedi , Vice Chancellor, I/C and Prof. M.K. Sridhar, Registrar. With the above mission in mind, the Karnataka Samskrit University will be organizing a National Conference on the theme Role of Women as Reflected in Samskrit Literature. The conference aims to bring a wide range of topicswhich reflects the present scenario. The outline has been kept broad keeping in view of the heterogeneous audience and cluster of knowledge on the subject. This seminar also aims to focus on solutions to theproblems faced by modern women. There will be a separate competition of poster presentation on this theme by college students. The best three papers will be awarded. This seminar will include special lectures by invited speakers, panel discussions, plenary sessions and cultural programs like dance, music, drama etc. The seminar intends to provide the audience a broadoutline of women role reflected in the vast samskrit literature of last five portrayed millennium. Papers can be presented in Samskrit, Kannada and English. In this regard we cordially invite you, your esteemed colleagues and research scholars to attend and present papers at the conference. We firmly believe that your participation will enrich the academic and intellectual content to open up new vistas of research and boost academic networking. No TA will be given to the participants. However lodging and boarding during the conference period will be provided by the organizers on payment of Rs.200 per day as Registration Fee should be drawn in favour of Finance Officer, Karnataka Samskrit University, Bangalore. Papers are invited from scholars/post-graduate teachers, students who wish to make paper presentations. Presenters are encouraged to contribute new ideas, concepts and paradigms for discussions. Papers could be based on original empirical research covering the theme of the conference. You can send the abstract to this Email: sanskritmahile2014@gmail.com Note: The paper presentation can be done by Women Scholars only. Last date for submission of abstract is 20th August2014. 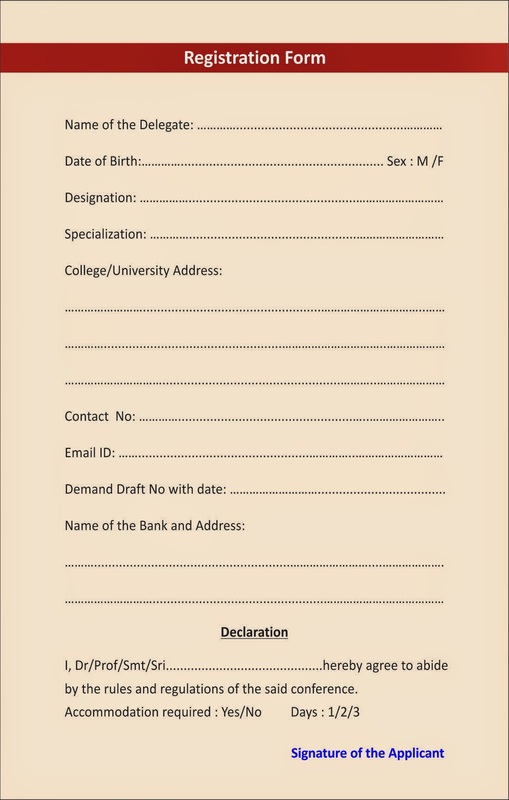 Registration Fee should be drawn in favour of Finance Officer, Karnataka Samskrit University, Bangalore.